There are so many days to celebrate, so why not a day for a winery? I never knew this until a few weeks ago, but November 14 is Famile Hugel day - Hugel, being the famed Alsatian producer, of course. Well, I'm game, so I tasted a few of their classic wines to get me in the mood. A few words about Hugel first; the firm was established in 1639 (!) and is today located in the charming village of Riquewihr in the Haut-Rhin section of Alsace (this is the southern half of Alsace and is considered the best wine area in the region). The winery is still family owned - how nice in this era of corporate buyouts and mergers - and is being managed by the 12th generation of the Hugel family. "Gentil" is the name of a blended wine from this house; the wine is primarily Gewurztraminer, backed by smaller amounts of Pinot Gris, Riesling, Muscat and Sylvaner. There are pleasing aromas of Anjou pear along with hints of jasmine and peony. Medium-bodied, this is round with appealing fruitiness, good acidity and has a dry finish with a slightly bitter edge. I'd pair this with crayfish or quiche. The $15 price tag represents a good value. Riesling is considered the jewel of Alsatian wine; for that reason alone, most examples will cost you at least $25, with most priced much higher. Here's one for $13, which is a rarity. It offers subtle notes of pear, elderflowers and a hint of petrol (a classic descriptor for Riesling). It's medium bodied and perhaps a bit shy on the finish, but for a dry Riesling at this price, one that will be even better in another year or two, it's a winner! Here is the best wine of the four. Offering beautiful varietal aromas of lychee, yellow roses and grapefruit. Medium-full with very good weight on the palate. Very good acidity, impressive persistence, good complexity and excellent varietal character. Enjoy over the next 2-3 years, perhaps longer. Excellent! 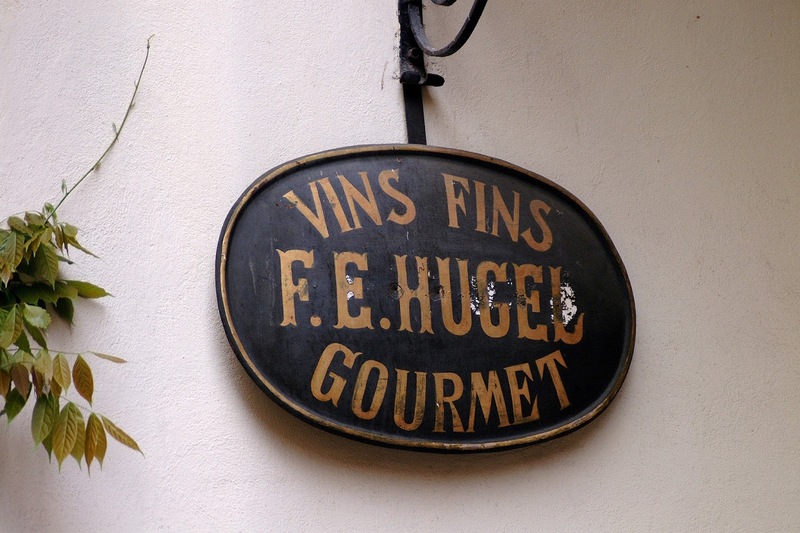 If you think about it, November 14, being Famille Hugel day, is just in time for Thanksgiving. All of these wines would work well with your holiday meal, especially the Gewurztraminer with turkey. But if you prefer a more muted aromatic wine, opt for the Riesling or "Gentil" - they work beautifully with turkey, chicken, pork or many other dishes. Happy Holidays! I love the white wines of Alsace; I honestly believe that this may be the greatest wine region in the world. I say that, partly as I adore Gewurztraminer, one of the region's best wines, but I'm also such a big advocate, thanks to the overall quality of the other famous whites from here, especially Pinot Gris and Riesling. I'm referring to the dry versions of these wines, and then there are the amazing vendange tardives, late harvest wines that offer outstanding complexity and can age for decades. I've tasted a lot of Alsatian wines from small and mid-sized family estates, but until recently, none from a cooperative. 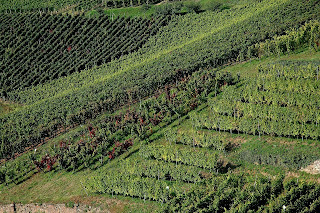 This type of producer is one that you see in many zones in France, Italy and other European countries; the fruit is sourced from growers that are also members of the cooperative. Generally the quality is quite good - sometimes very good - with a few wines being of excellent or outstanding quality. 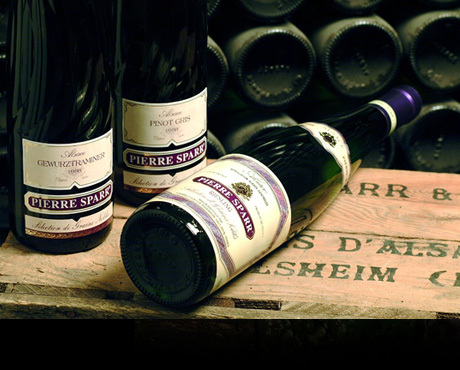 Situated in the town of Beblenheim, the Pierre Sparr winery was founded back in 1680; nine successive generations have continued making wine. Pierre Sparr took over in the early 1900s and rebuilt the estate after damage during World War II. 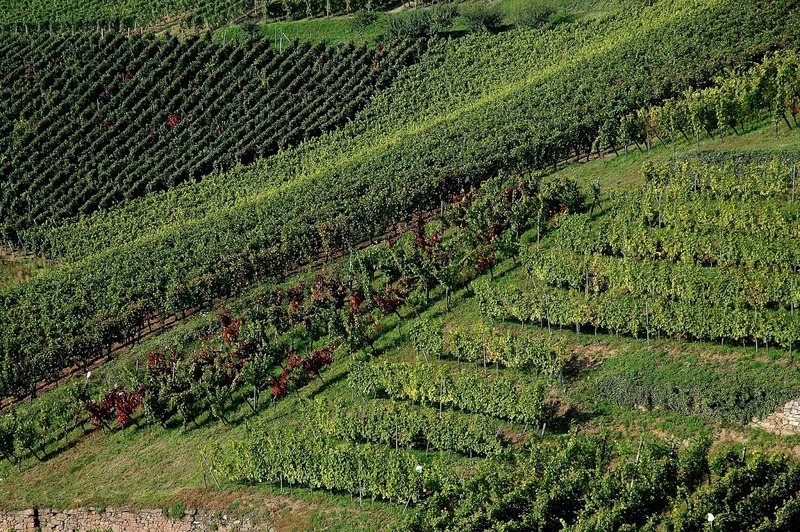 Today the winery owns 37 acres in the Haut-Rhin and has contracts with growers in another 370 acres in the region. Tasting through the wines, the Selection line offers clean, well made wines at a fair price ($14-$20 US retail). While these wines are pleasant and offer good varietal character, it is the Pinot Gris (2013 vintage) that is the standout. Medium-bodied with good acidity and complexity, this has very good richness on the palate as well as distinctive floral perfumes to accompany the ripe apple notes; enjoy this now and over the next 2-3 years. Beautiful varietal aromas of lychee, yellow rose and grapefruit. Medium-full with very good concentration. Nice wine, excellent ripeness, nicely balanced, easy-drinking. While I like the wine, I would have preferred a drier finish - this has a light sweetness, which is pleasant and may attract some drinkers, but I am a fan of the classic dry style of Alsatian Gewurztraminer. Enjoy over the next 2-3 years -perhaps longer. Lovely aromas of apricot and yellow peach with hints of petrol. Medium-bodied with good concentration; excellent balance, good acidity, and very good varietal character. This is not the most complex or lush style of Alsatian Riesling, but it is well mad and very satisfying. Enjoy over the next 3-5 years. The wines of Pierre Sparr are imported in the USA by Wilson Daniels.